It just doesn't get any easier. The Walking Dead has always tugged at my heart. The first season made it clear that choices are not always easy, and the right thing to do might end up getting someone killed. So it is. 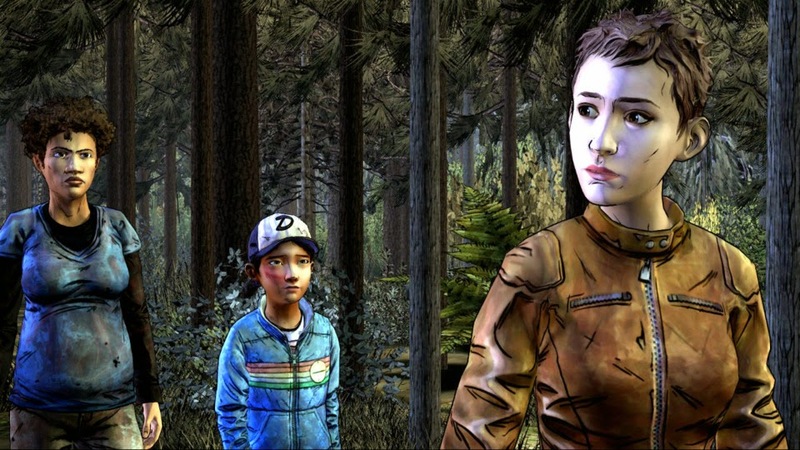 Season two's Clementine continues to become a more responsible and capable member of the group, but choices are still hard, and people still die. Amid The Ruins serves as a lengthy reminder of this fact. Like last seasons penultimate episode, there are no good choices to be made, only hard ones. This episode also gives us info on some of the other group members, something that's been seriously lacking throughout the season. It's nice to give Clementine a break from the spotlight for once. 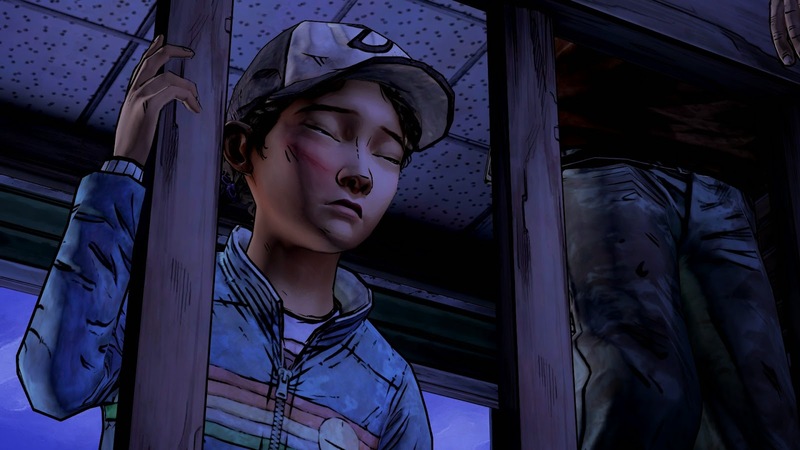 Particular attention is paid to Jane, as a mentor of sorts for Clem. We get a peek into her back story and have a few action scenes involving her practical survival advice. Her competence and resourcefulness is a welcome relief from the rest of the group, who still spend most of their time asking Clementine what they should do. This season still suffers from one major flaw. Some characters are really well realized, with interesting personalities and hearty back stories. Others are somewhat two-dimensional; they are important members of the group, but because they aren't fleshed out, it's difficult to give their actions any real weight. They fill a space, not so much a role. I understand that some of the group has appeared in 400 Days. Their back stories were played out in that game, but very little is done to even allude to those events in this season. It's a little too late for full back stories on all the other group members at this point unfortunately. I feel like there is some really interesting potential in there for at least one of the group to become a really compelling force, but with only one episode left in the season, there isn't adequate time to establish much of a relationship.